Enjoy your night out but Stay Safe! 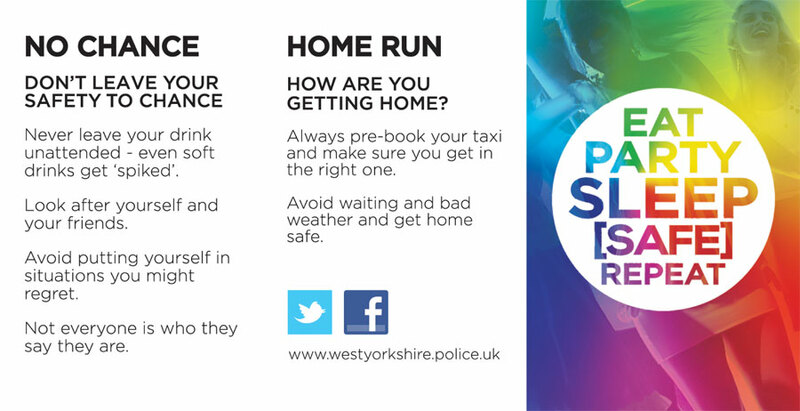 West Yorkshire Police do all they can to keep the public of West Yorkshire safe during nights out across the county's towns and cities. The busiest periods for the pubs and clubs are during the Summer and over the Christmas holidays so during this time the Force runs Operation Northdale. Officers, together with volunteers from the NHS, Probation Service, Street Angels and night marshalls work together with the aim of reducing the number of sexual offences. These volunteers are positioned in key locations where they can help anyone who may be vulnerable during their night out. 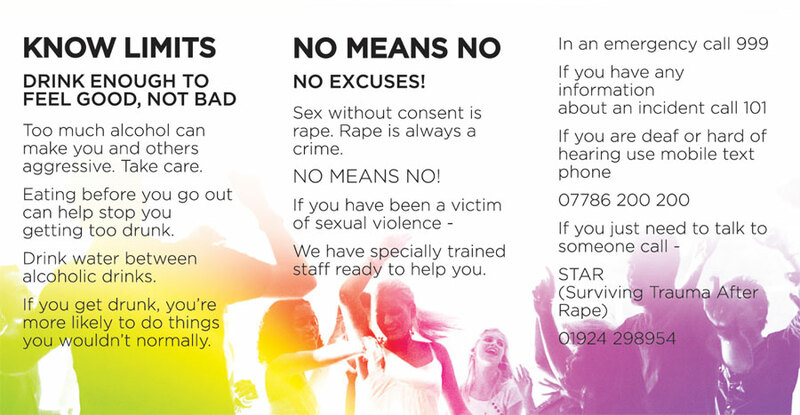 If you have been a victim of sexual violence there are specially trained staff that you can speak to. For non-emergencies or if you have information about an offender tell us by calling 101. Victim Support ISVA service - 0300 3031971 – between 8am-8pm Monday – Friday and Saturday between 9am-5pm.